Would you work out if you got to go to the movies for free? How about if you could guarantee yourself a discount on your monthly gas bill? That’s exactly what downloading the Carrots Rewards app promises you. 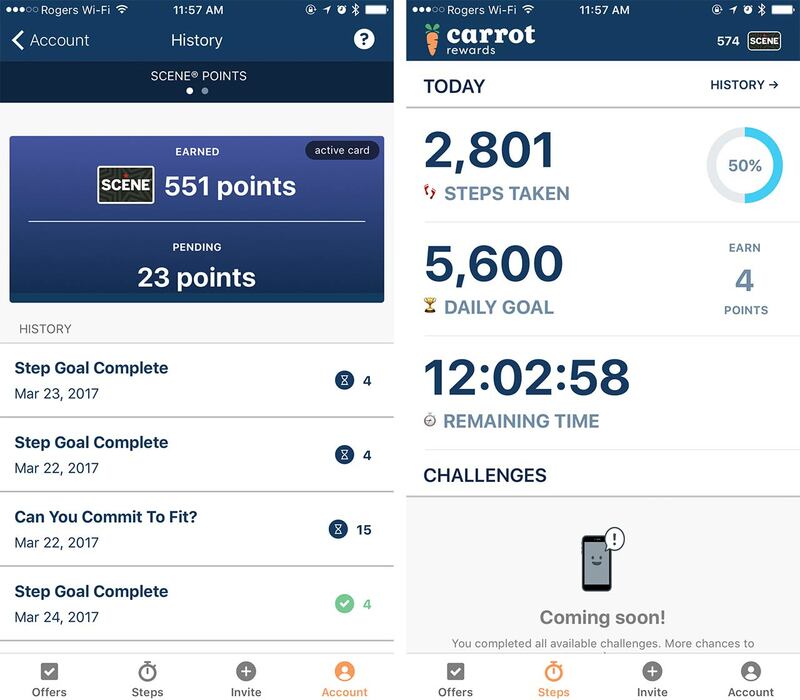 The program works by sending users healthy challenges, and rewarding them with points in their favourite rewards programs. 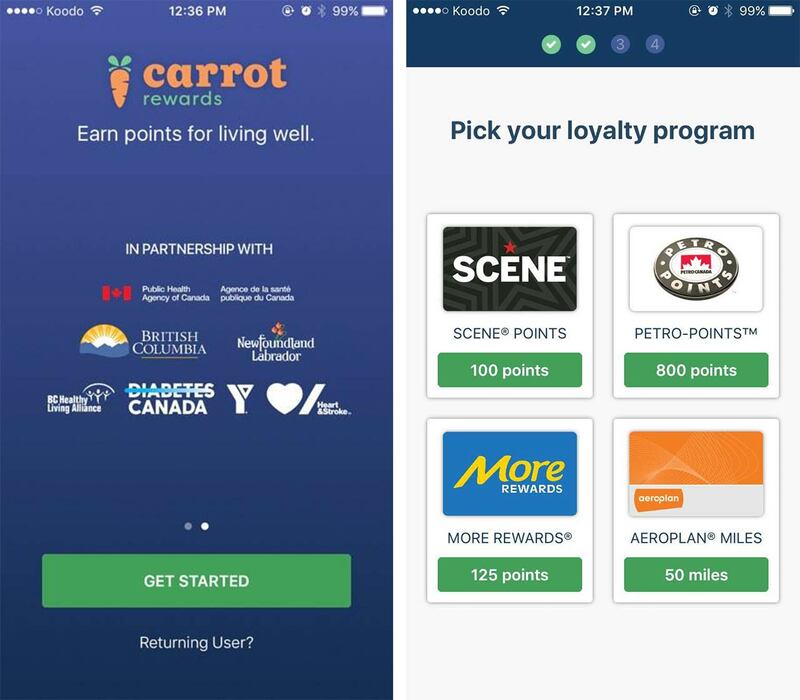 For example, users can complete these offers for Scene Points, Petro Points, Aeroplan Miles or More Rewards. The app was developed in partnership with the Public Health Agency of Canada, the Province of British Columbia and Newfoundland and Labrador, the Heart and Stroke foundation, and others. Where the government once wanted to educate the public about its personal health, Carrot Rewards sees the government act to change the public’s behaviour. The primary way users acquire points is by meeting their daily step goals, which is also why the app is only available on smartphones or devices with built in pedometers. 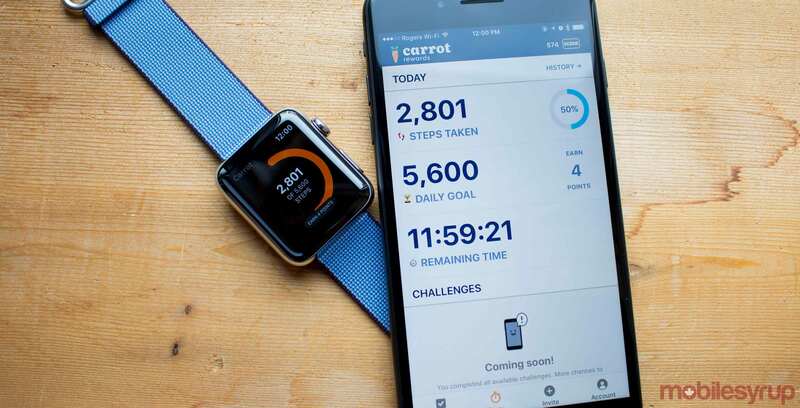 Richards goes on to say that the step tracker is an important part of what makes Carrot Rewards so attractive. This includes iPhone 5s and later, the majority of Android phones running Jellybean or later, BlackBerry devices running Android, Fitbit tracking devices, and any other wearables that are compatible with Apple HealthKit and Google Fit. In addition, users can choose to complete quizzes to earn even more points on top of their daily step goals. These quizzes largely test users on subjects like healthy eating, active living, etc. The app just recently launched in Ontario, and was previously available in British Columbia and Newfoundland and Labrador. Richard concluded by saying that while the app is only available in three provinces, they aren’t stopping there. “I think we really want to get this in the hands of every Canadian. That’s really our goal,” she concluded. The app is available for download in the App Store and Play Store.